Hanoi (VNA) – The State Bank of Vietnam (SBV) will launch more effective credit programmes to support agricultural production and improve local livelihoods, making contributions to boosting economic growth while wiping out black credit in rural areas. SBV Deputy Governor Dao Minh Tu said high-tech agricultural development programmes as well as agricultural production in value chain to increase added value will be prioritised as part of the agricultural shake-up project. “The SBV sees agriculture and rural areas as top priority in its credit programme. It has directed credit institutions to improve procedures for loan access and paid due attention to branching out mobile banking model in remote areas, creating favourable conditions for local people to have better access to capital and other banking services,” Tu said. 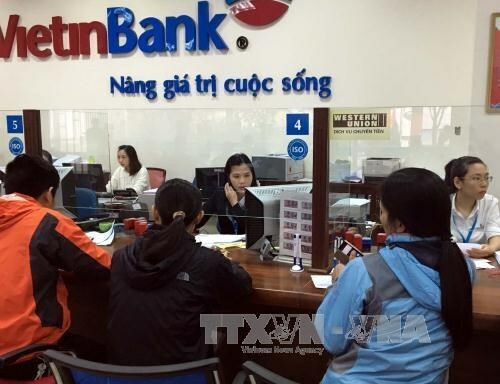 Currently, 70 commercial banks, more than 1,100 people’s credit funds and the Vietnam Bank for Social Policies (VBSP) provide loans for rural economic development. Credit services are available even in mountainous and remote areas thanks to the mobile banking models of the Vietnam Bank for Agriculture and Rural Development (Agribank) and transaction offices of the VBSP. Tu said debt in the agriculture and rural sector has enjoyed steady growth in the past decade at 20 percent. As of December 2018, the amount was estimated at 1.78 quadrillion VND (76.72 billion USD), a quarter of all total outstanding debts. The VBSP is carrying out 20 credit programmes for impoverished households and policy beneficiary families, including 17 for agricultural development. In past years, the credit programmes have provided farmers with capital to branch out their business, thus promoting growth of the agro-forestry-fishery sector, which stood at 3.76 percent in 2018, the highest level in six years. However, Tu said lending in this sector is risky while there is no strong mechanism to hedge risks. This will affect the bank’s financial situation if borrowers are not able to clear their debts, especially when they face misfortune in their production. Tu suggested relevant sectors evaluate and forecast market demands for agricultural products, enhance trade promotion and help agricultural firms find markets for their products.